Last year marked the hundred year anniversary of the Migratory Bird Treaty. Signing of the treaty recognized that conserving migratory birds calls for international collaborations. The treaty set the cornerstone for innovative solutions and tools that have enabled waterfowl populations to grow and thrive. Just as successful waterfowl conservation required new strategies and approaches, we now need new and innovative solutions and tools to reverse the declines of hundreds of migratory birds throughout the Western Hemisphere as we embark on another 100 years of conservation. Southern Wings is one of these tools. It facilitates state fish and wildlife agency participation in conservation of migratory birds on their breeding, migration, and nonbreeding sites. 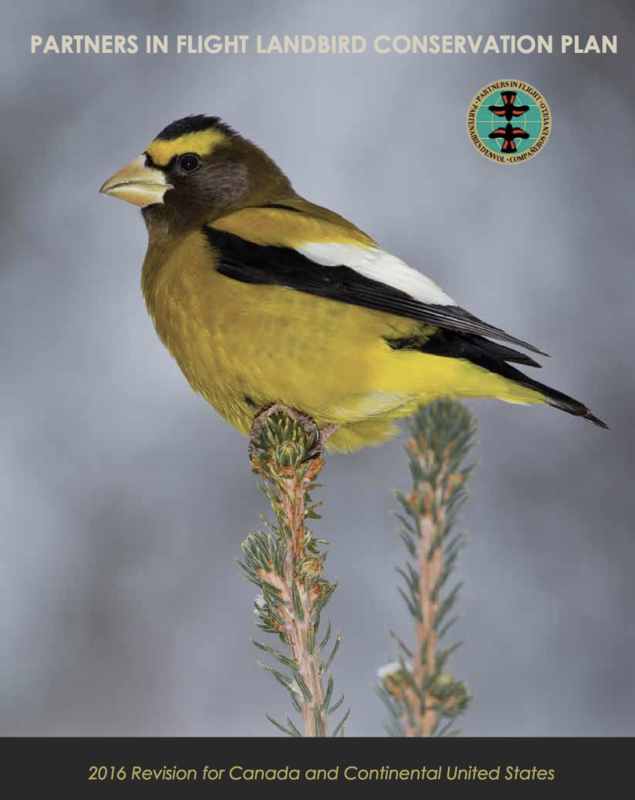 Southern Wings and its partners help to focus vital conservation funds on nonbreeding and migration sites for more than one-half of North America’s breeding birds; such sites include forests, wetlands, and grasslands that face continually mounting pressures. 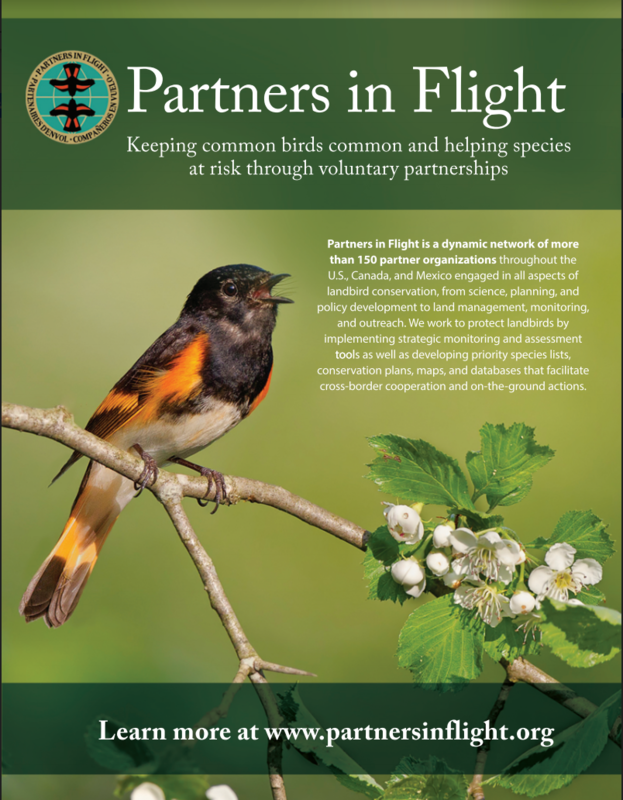 In the first 9 years of Southern Wings, 30 state fish and wildlife agencies have partnered with conservation colleagues in Guatemala, Nicaragua, the Dominican Republic, Colombia, Costa Rica, Mexico, Ecuador, and Honduras. They have contributed over $2.7 million to conservation. In Guatemala, FUNDAECO developed a landscape scale strategy for the Izabel region of the Caribbean coast—The Conservation Coast. The region is home to over 150 species of neotropical migrants. The strategy includes preserving and managing key tracts of land. Southern Wings has helped actively protect and manage almost 9,000 acres for priority migratory birds in this critically important biological corridor. In Nicaragua, the focus is on Golden-winged Warbler conservation. El Jaguar Private Reserve, in the highlands of Nicaragua, has been identified as a focus area for the species. 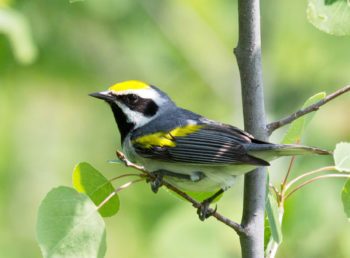 Of the 290 bird species found in the highlands at least 40 species are migratory including the Golden-winged Warbler, Wood Thrush, Kentucky Warbler, and Hermit Warbler. Southern Wings became a conservation partner with El Jaguar in 2011. Since that time, the program has supported the development of tree nurseries; habitat restoration; and outreach and education workshop with local landowners. These are just two examples of the incredible conservation being accomplished by partners, including Southern Wings, across the Western Hemisphere. helps keep species off the Endangered Species Act (ESA) by addressing annual life cycle conservation needs. For more information about the Program or to discuss the ways to participate contact Deb Hahn, International Relations Director ([email protected], 202-838-3458). 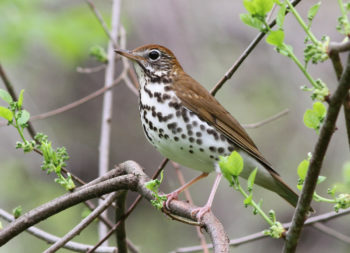 photo credits: Mike Parr, Wood Thrush. Laura Erickson, Golden-winged Warbler.